Words by Kevin Doocey on August 30, 2018 . Another predictably underwhelming transfer window for Rafa Benitez & Newcastle United - who would have thought? Despite the handful of defensive arrivals, and of Salomon Rondon, the squad is nowhere near the standards required by Rafa and his staff. In fact, if you were to hand this squad to any of our former managers, I think they’d likely struggle to keep us afloat in the Premier League. Of course, it remains to be seen whether Benitez can secure safety with this lot, but he simply isn’t the type of manager to suffer relegation; he is almost completely foreign to the idea of dropping down a division given the clubs he has guided in the past. Sometimes you just have to take a step and realise that, somehow, Rafael Benitez is manager of Newcastle United; a serial winner who is putting up with the task of mediocrity amongst boardroom politics. If not for the infamous £6m contract clause earlier this year, he would have walked to another club with true ambition. Yet, Benitez is a man of class and principle, and he’s not the type to walk out on a challenge or a leave a club in the lurch. Thankfully, that is, otherwise the club would be even more nuclear. It is easy to very disappointed at the lack of quality arrivals this window and rightly so, but I’d like to focus on the lack of departures of key individuals. 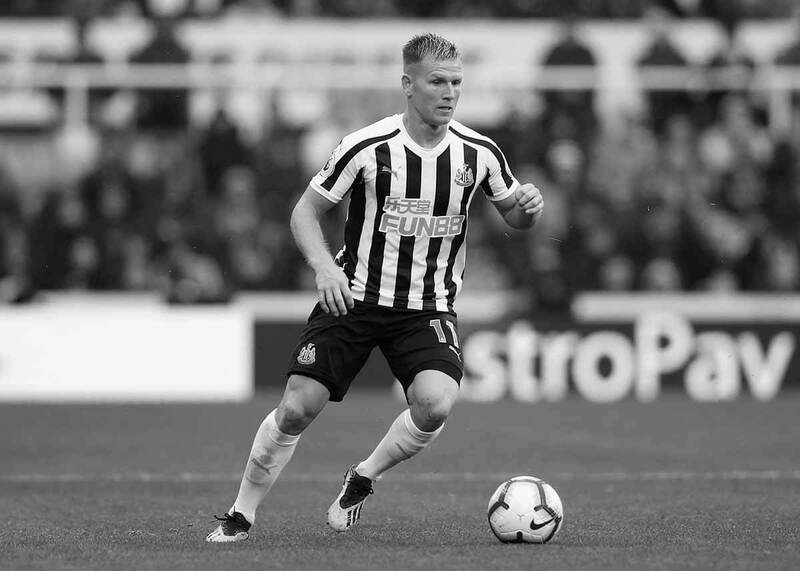 Matt Ritchie was heavily linked with both Stoke City, and a return to Bouremouth. There was plenty of talk that in order for Benitez to facilitate the signing of Andros Townsend from Crystal Palace, he would raise the necessary funds, and make room in the wage department. It looked like Ritchie was about to be pushed out the door. I remember writing about how worrying it was that Ritchie was being linked with a move away when the news broke. The midfielder is a key cog in the Newcastle United dressing-room, and on the field. Whilst excited by the potential return of Townsend to Newcastle - a player which Benitez worked well with - I felt the deal would cause more damage than good, and set the tone for a miserable season. Ritchie was undoubtedly one of our main men last year. He nabbed a couple of goals throughout the season and put in shift each and every game. He is a passionate footballer, and plays with an edge which can often lead him to the referee’s notebook. However, it is that edge that makes him the solid footballer he is. If Ritchie had departed in the summer, I’m not sure the club would have managed to complete the Townsend deal in return, either. We would’ve been left with one less senior figure and short of a left foot that will be crucial to our hopes this season. So when no Ritchie departure materialized, I was a relieved man - I think plenty other supporters shared the same thoughts. Over the past week we’ve happened to learn about a bust-up between Ritchie and captain Jamaal Lascelles. What seemed like a non-story caught wildfire in the media, and Lascelles absence from the team for Chelsea (h) only fueled it. Jamaal expressed his dissatisfaction at Rafa’s intention to play five at the back against Sarri’s men ahead of the tie, and Ritchie told him to respect the decision & get on with it. It led to a confrontation in the dressing-room after training. What I like about this story is the fact that Ritchie showed that he is ‘all in’ on the manager, as well he should be. You have to respect the manager’s choice regardless of who he is, and for Ritchie to tell the © to accept it and move on showed that he is a consummate professional in training. For Lascelles to question it is all well and good, but Rafa is the sheriff in town. He is the man who made Jamaal captain, and is helping the 23 year-old become a much improved defender. Do what the manager says, even if you don’t agree with it - simple as. For Ritchie, even just watching the opening Premier League games you can notice that he loves wearing the Black and White of Newcastle United. His work-rate has been immense, and he doesn’t shirk responsibility. Comparing him to some of the mercenaries that have come & gone over the past 10 years, he’s a breath of fresh air. He might not be a flashy wizard on the wing, but he is a extremely effective who will prove a big player for us this year. Keeping hold of the Scottish international was one the biggest wins Rafa Benitez had in the summer transfer window, and I think we’ll see even more evidence of that as the season progresses. Comments welcome as always, and be sure to follow @KevinDoocey. Couldnt agree more Kevin.I am bias though as i am his Uncle.What he lacks in pace and height he makes up with his passing and intelligence on the ball.The one thing that i have always admired is whenever he can he will play it quick.So much football is slow,pass,slow.Defenders will deal with that most times.The quick ball catches them out.I watched Matt at Bournemouth and Eddie Howe has that same quick ball going forward philosophy.Its good to watch and you very rarely get a bad game with Bournemouth playing.Think Newcastle have lacked that direct,quick forward over the last couple of years.Calum Wilson scored loads of goals with Matt supplying the passes a lot of the time.Pace and power.If Newcastle could find a quality forward i think they would become a real handful.